I feel like I'm too enthusiastic about the couples we photograph so I'm just going to say this once--these photos will make you want to be this couple. It's impossible to not love them. 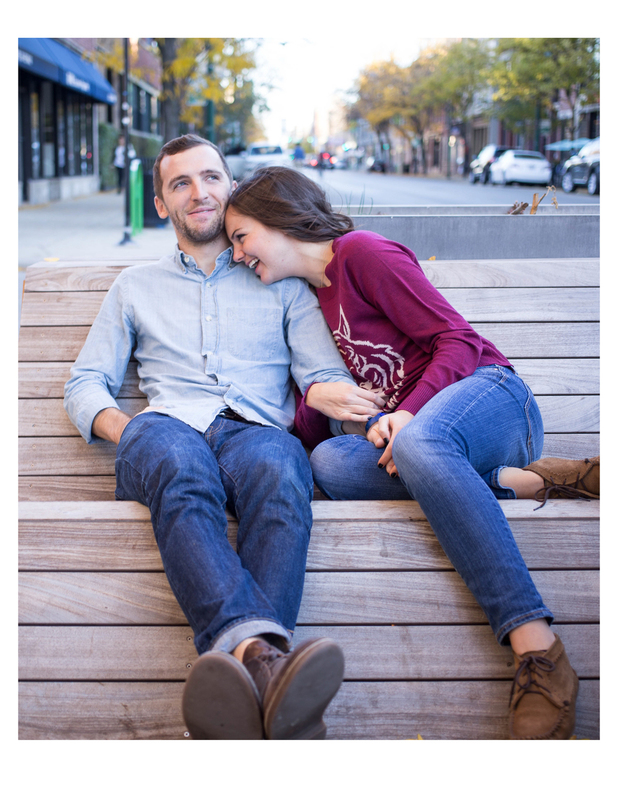 Caleb and Michelle came to us with one request--that their photo shoot would "We really want just photos of us to capture what we love to do right now in our lives". Because they are already married (2 and half years!) and because everyone they know is engaged/married, they were ready to do something different than the normal "couples" photos. We love that! We also love that she knew exactly what she wanted--with specific places and activities. 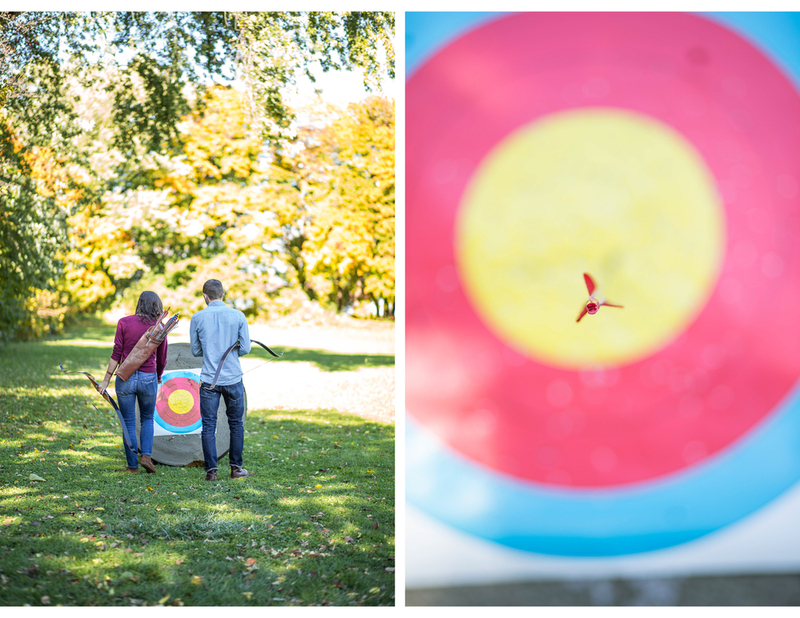 An archery club, a coffee shop, a favorite billiards bar, and finally their apartment. A photo shoot of their ordinary, adorable, married life. And then Michelle sent a couple links to the blog, A Cup of Jo (who I love). She wants that "super chill and just a good time" feel that Joanna Goddard always manages to give off. That sealed the deal. This is the coolest couple of all time.
" 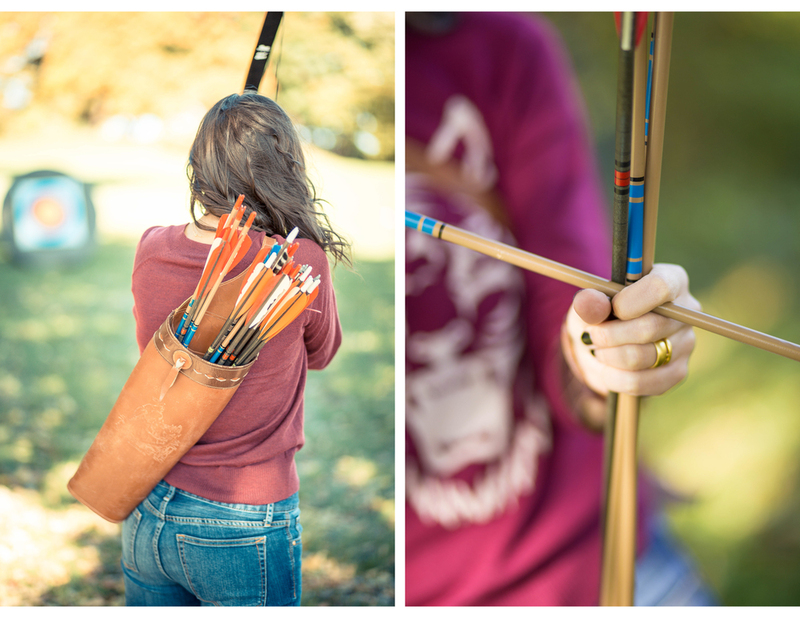 [Caleb] has this vintage archery set from his grandpa and it would be quite a hilarious situation, but also pretty awesome." 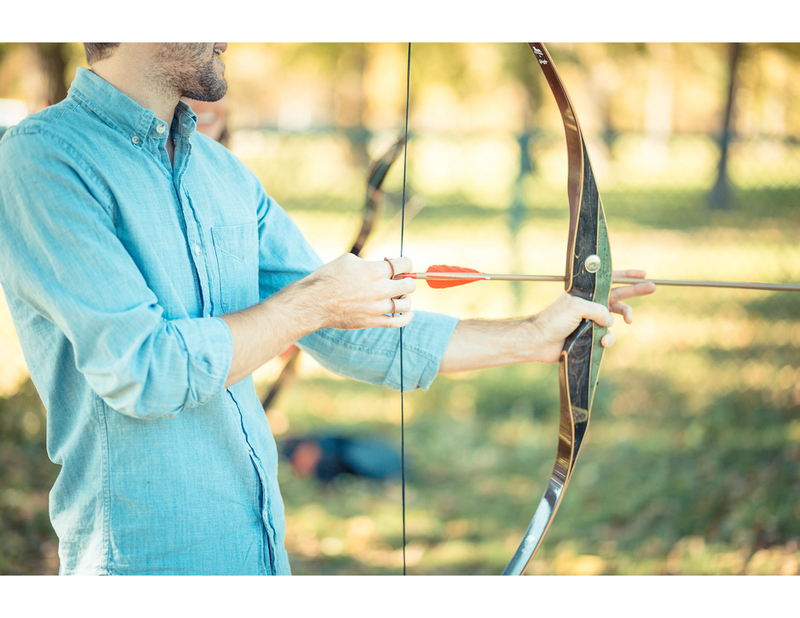 Michelle wrote, suggesting they take a few pictures at Belmont Harbor Archery. Brill-iant. Side note: I want to see them do these pictures again dressed as characters from the Hunger Games. All time coolest couple award. Right? I mean--an archery date! After the archery they dropped by of their favorite coffee shops, Heritage Bicycles on Lincoln Ave. I love that Brooke turned the cafe into their own little date spot, so casual and yet so adorable.
" Then we were thinking we could go take pics at this billiards bar we go to with our friends all the time, or head back to our place and Caleb and I can play cards and drink some whiskey. " So we love this couple and want to be them. Thank you, Brooke, for these great shots!